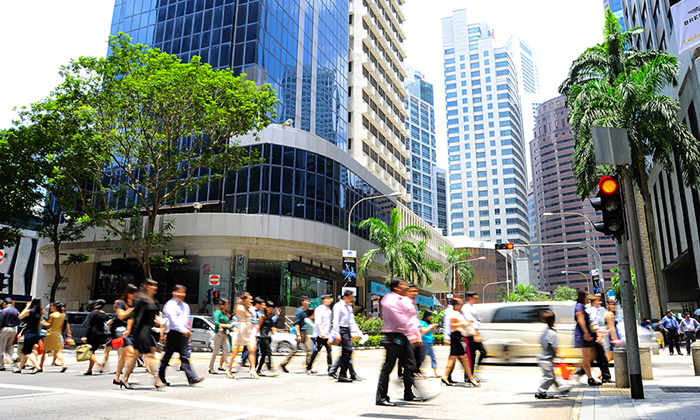 The second quarter of this year saw a 4.2% year-on-year increase in local employment in Singapore, with a continued steady increase in the number of labour force participation of women and older residents. This news comes from the Ministry of Manpower’s (MOM) second quarter labour market report, which also revealed a low and stable unemployment rate of 2.9%, with the resident long-term unemployment remaining among the lowest globally at 0.6%. While the increase in local hires is good news for the government, which has been pushing for a Singaporean-core workforce, it may mean trouble for some. This is because foreign employment growth has slowed down in the first half of 2014 – it clocked in at 3.8% in June 2014, the lowest since Q3 2009. Overall, the long-term employment has improved slightly over the year. In 2013, 0.7% of residents spent at least 25 weeks looking for work, but that percentage has gone down to 0.6% this year. The number of job openings also went up in Q2 this year, with seasonally adjusted job vacancies increasing by 3.3% in June 2014, after moderating in March 2014 (3%). However, there are still more vacancies than job seekers. Mature residents aged 40 and over formed the largest group of unemployed residents (45%) in June 2014. The report said more needs to be done to boost productivity, particularly in the construction and services sector, adding the government is still looking at ways to improve the quality of the construction workforce. Which city is fast emerging as the region's top financial hub?